On behalf of the International Child Neurology Association, it is my great pleasure to welcome you to the 15 th International Child Neurology Congress being held in Mumbai, India in Nov. 2018. Our congress theme is 'Protecting the developing brain'. We aim to provide an overview of Childhood Neurological Disorders from a Global Perspective with strong representation from all six major geographic regions. The scientific program will feature internationally recognized experts who will provide the latest advances within different subspecialties of child neurology, including two tribute lectures to honour the lifetime contributions of two remarkable pioneers of Child Neurology, Dr. Yukio Fukuyama and Dr. Masaya Segawa. This will be combined with a strong educational program through breakfast teaching courses, workshops, afternoon tea symposia with algorithmic approaches and instructive case presentations and evening master classes. 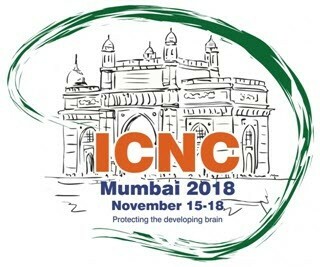 will also mark the second forum of the Council of the Future Leaders of ICNA which will be comprised of outstanding, regionally nominated senior child neurology residents, fellows and junior faculty who will meet in Mumbai to further their mandate and goals for the future clinical, research and educational programs of ICNA. There will also be an opportunity for the meeting of different child neurology subspecialty special interest groups. The need for international collaborations, particularly for rare genetic disorders, is timely in the current age of whole genome and whole exome sequencing in which strong collaborations between clinicians, biochemists and geneticists are essential for the interpretation of genetic data which will set the foundation for Precision Medicine in the future. At the ICNC2018, we plan to facilitate interactive dialogue between clinicians and neuroscientists from resource-limited and resource-enriched regions in order to lay the groundwork for future collaborative research networks. These networks will link clinicians involved in the meticulous phenotyping of unique clinical populations afflicted with specific neurological diseases with researchers in state-of- the-art research laboratories who would characterize the genotypes and create in vitro and in vivo disease models. This in turn will increase understanding of the underlying pathophysiological disease mechanisms which will lay the foundation for the development of targetted interventional therapies, thereby moving the field forward and benefiting the affected children and their families. Please join us for a scientifically stimulating ICNC2018 program in an atmosphere of warm collegiality amidst the rich tapestry of Indian culture and exotic cuisine set within the enchanting and historic city of Mumbai which is a blend of Gothic Revival, Indo-Saracenic and Art Deco architectural styles and which is the home of the Gateway of India and two UNESCO World Heritage Sites including the archeologic Elephanta Caves. We look forward to welcoming you in Mumbai.